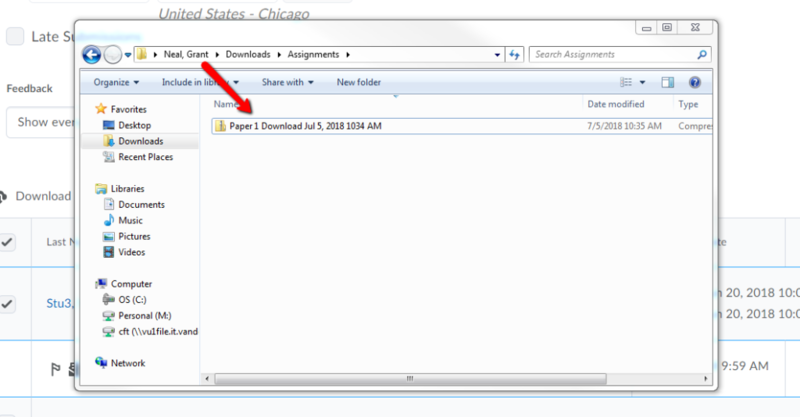 How can I download assignments by group? 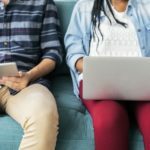 Sometimes, an instructor may want to download individual assignment documents by groups they may have placed their students in. 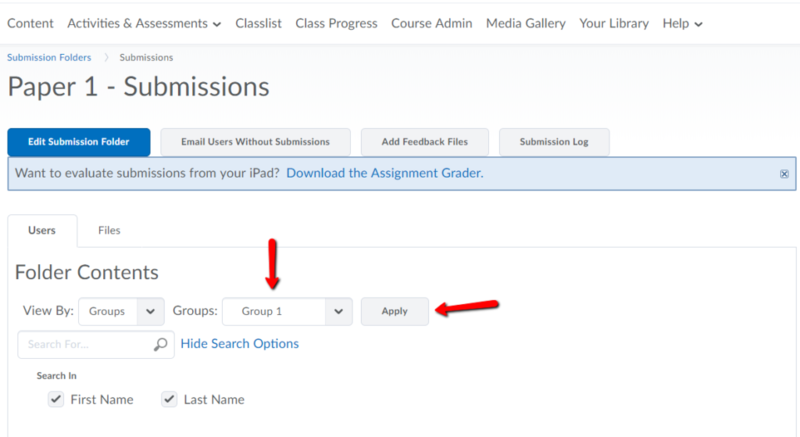 This guide shows how the instructor can download the submitted individual assignment documents by group. 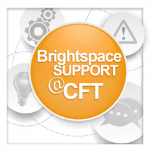 STEP 1: Access your course in Brightspace, then select Assignments from the Activities & Assessments drop-down. 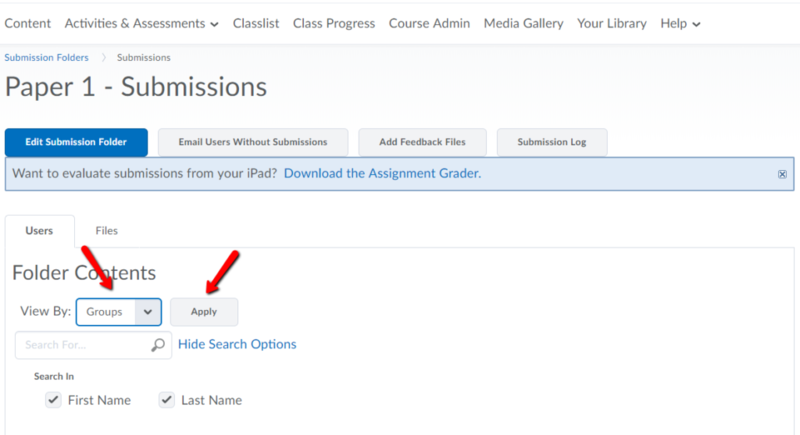 STEP 2: In the Assignments area, click on the assignment name. STEP 3: In the View By drop-down menu, select Groups. Then, click Apply. STEP 4: A new drop-down menu will then appear that will let you specify which group’s papers you would like to download. Select the group number, then click Apply. STEP 5: At the bottom of the page, you will see the submissions from students in that group. First, click the Select All Rows button. Then, click Download. STEP 6: When the pop-up window appears, click on the link provided to download a zip file. 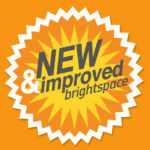 STEP 7: Locate the zip file and then right click on the file. Then, click Extract All. 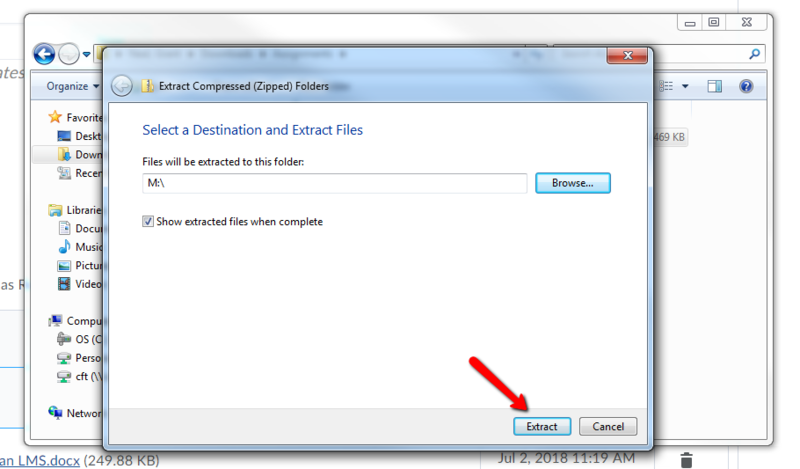 STEP 8: Select the destination for the extracted files and click Extract. 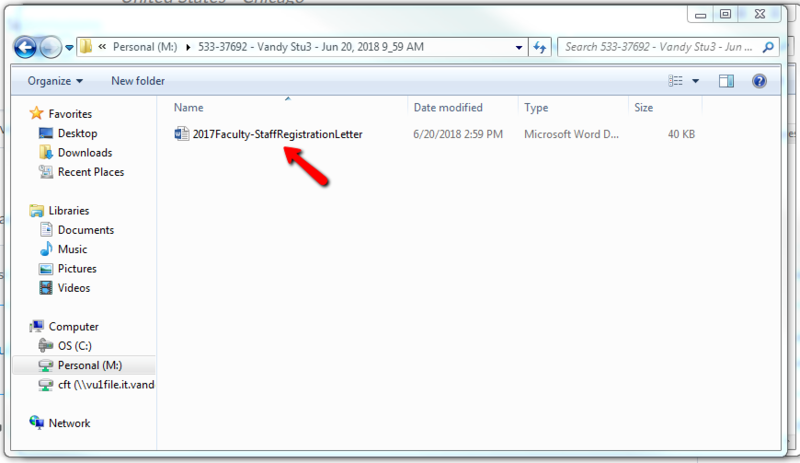 STEP 9: In the destination folder, you will then see a folder for each student in that respective group. STEP 10: Open each respective student folder to find their individual submission.